In the Louisville metro area, Seaweed Diver is the only PADI Dive Center and we would love to show you why PADI is "The way the world learns to dive". simply see the wondrous world beneath the waves, this is where it starts. The PADI Open Water Diver course at Seaweed Diver is the world’s most popular scuba course, and has introduced millions of people to the adventurous diving lifestyle. Start your scuba certification online today or stop by our dive center to get your books and dvd to begin your course. Free Referral for those who want to do their dives while on vacation. Most dive centers charge $50 for this service. If you’ve tried diving through a Discover Scuba Diving experience or resort course, the skills you learned may be credited towards a portion of the full PADI Open Water Diver course certification. Just bring by the papers your instructor provided you with and we will be happy get you started. The fun part about this course is . . . well, just about all of it at Seaweed Diver because learning to dive is incredible. You breathe underwater for the first time (something you’ll never forget) and learn what you need to know to become a PADI certified diver. During the course, you’ll make at least three pool dives and four dives at local dive sites under the supervision of your Seaweed Diver PADI Instructor. In the PADI Open Water Diver course, you learn to use basic scuba gear including a dive computer, and standard accessories, all available at Seaweed Diver. At Seaweed Diver, we have the most up-to-date, state of the art dive equipment in our rental program. We want you to learn in the equipment that you will be diving in and your comfort and safety is our number one concern. If you choose to purchase your gear at any time from us and it does not fit or you are not happy with it, we will work with you to make it right! PADI offers a variety of home-study materials for the Open Water Diver course. While eLearning is the most convenient option, you may also choose a book and DVD package available or add-on if you would like. PADI’s Open Water Diver materials cover what you need to know about basic scuba diving skills, terminology and safety procedures. For each concept you’ll read a description and watch a video demonstration. Then you’ll jump in the pool (or pool-like environment) to practice these skills with your Seaweed Diver PADI instructor. 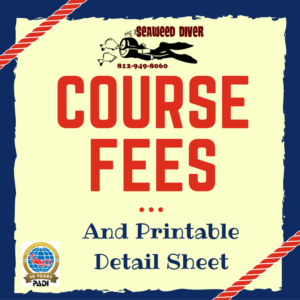 Later, as a certified diver,you use the course materials as a reference guide for future diving adventures and to review what you learned. 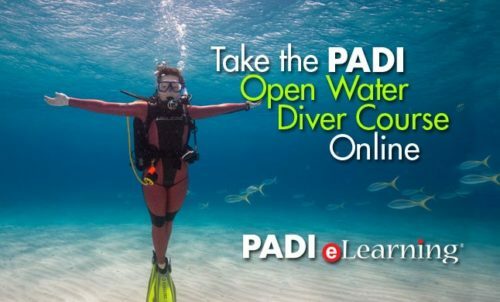 You may be able to earn college credit for the PADI Open Water Diver course! 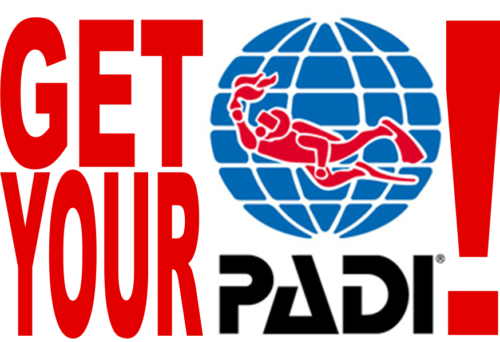 Submit the college credit form to PADI for your transcript.